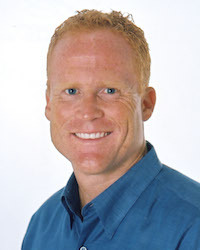 I've enjoyed selling Southwest Florida real estate since 2002. I was born in the small but quaint town of Newport, Rhode Island, although most of my childhood memories are from my home in Westport, Massachusetts. A small fishing and farming town located at the mouth of Buzzards Bay, along the Atlantic Ocean and the Westport River, it is still very near and dear to my heart. Growing up my interests were in the area of dance and gymnastics so I entered college as a dance major and had visions of owning a dancing school, teaching classical ballet, jazz and tap. While I was attending UMASS Amherst, I got sidetracked and moved to Martha’s Vineyard and got a job driving a taxi. It was great fun and I met all kinds of celebrities! From there I moved to San Diego, California, where I pursued a career as a travel agent. I loved the job and the benefits and eventually opened up my own agency on Sanibel in 1989. The success of Sanibel Travel allowed me to indulge in other interests, so I joined my father in partnership at Crown Realty of Naples. After selling real estate in the Naples and Bonita Springs area for seven years, I decided it was time to come home to Sanibel. I have been selling the Islands and Ft. Myers since 2002. I keep active by volunteering with BIG ARTS on Sanibel, attending local theater and dance performances, traveling, kayaking, and running 10-12 miles per week.